Daniel Jacobs took on Giovanni Lorenzo on the début card for FOX Sports 1′s Monday Night Fights. 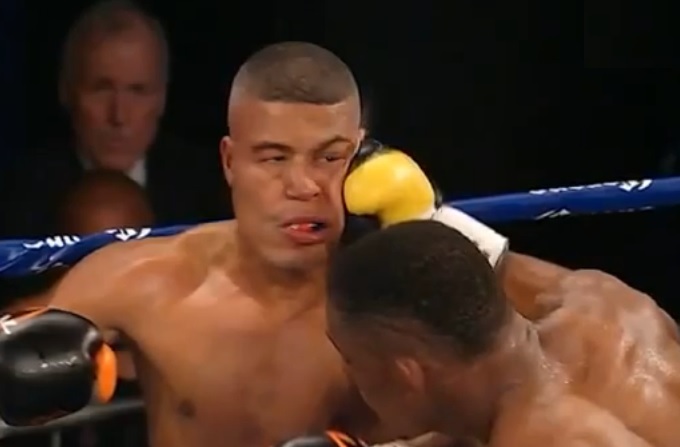 Jacobs knocked out Lorenzo in the third round with a brutal combination that resulted in one of the most beautiful slow-motion punch faces you will ever see. Lorenzo gets hit on one side of the head, looks the other way just in time to see another punch coming and then hits the canvas face-first. The video is just incredible and painful at the same time. Damn!